I believe in securing the best possible legal and commercial outcome for my clients. 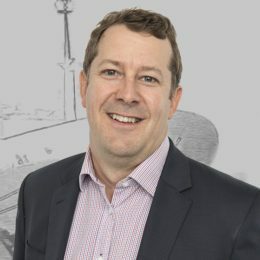 I have over 15 years experience specialising in insurance advisory and litigation, with a particular focus on transport and maritime related matters. I assist clients to navigate the range of issues that may be found in contentious and non-contentious matters including insurance coverage, marine insurance, personal injury claims, property damage, professional and product liability. I have particular experience in transport and maritime related matters including carriage of goods, marine casualties (collisions & groundings etc), pollution incidents, ship repair, vessel chartering and sale, workplace health and safety issues, statutory prosecutions and inquests. I regularly present to marine insurers, vessel operators and crew in relation to marine regulations, managing vessel incidents, injury claims and risk management. My particular experience in leading immediate responses to marine and transport casualties and supervising casualty response teams has made me acutely aware of the impact timely and appropriate responses to incidents can have on the end result for my clients. As well, the importance of strong media and public relations strategies when dealing with matters under intense public scrutiny. Matthew was recommended under Leading Shipping & Maritime Lawyers Australia by the Doyle’s List 2015 – 2017. He was also recommended by Legal 500 for Transport Law – Maritime & Shipping (Australia) 2016 and listed by Best Lawyers Australia for Transportation Law – 2017. Best Lawyers also listed Matthew in Insurance Law, Shipping and Maritime Law, and Transportation Law in 2018. I act for clients ranging from insurers and brokers, shipowners and charterers, ship managers and agents, transport companies, repairers and industry professionals. We are an appointed legal correspondent of members of the International Group of Protection and Indemnity Associations and on the panel of various marine and other insurers including liability insurers and hull and machinery underwriters. Matthew holds a Bachelor of Laws (Hons) and a Bachelor of Business Management from the University of Queensland. Matthew was admitted as a solicitor of the Supreme Court of Queensland and the High Court of Australia in 2003. Matthew is a member of the Maritime Law Association of Australia and New Zealand.